Hanuman Chalisa is a dedicate prayer to Lord Hanuman written by Saint Goswami Tulasidas. It is an ode to Shri Hanuman, a devotee of Shri Ram who helped him to win the Ramayana. This year, Hanuman Jayanti will be celebrated on April 19. The Hanuman Chalisa however, uncovers another big secret of science. A scientific revelation has been observed in this mythological prayer. The distance between the earth's orbit and the sun is said to be revealed in this prayer. In the 18th chaupai of Hanuman Chalisa, Tulsidasa writes the apparent distance between the earth and the sun. By now we know that the earth's orbit around the sun is elliptical so the distance between the two varies at different points throughout the year. Hanuman Chalisa has a line which tells the approximate distance between our planet and our source of energy. 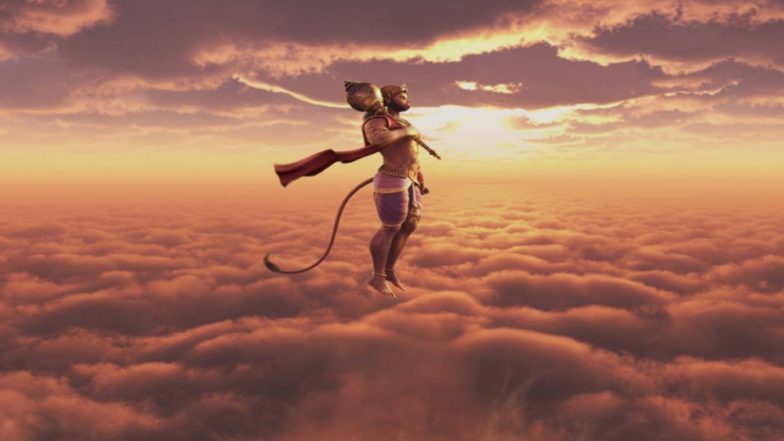 Hanuman Chalisa Video and Bajrangbali Bhajans and Songs with Lyrics for Hanuman Jayanti. As per the calculations of the modern scientists, the distance between the Sun and Earth is 147 million kms. This is at the nearest point in the earth's orbit called the Perihelion. The longest distance between the two called Apoapsis is 152 million kms. This was measured first time in the 16th century by Jean Richer and Giovanni Domenico Cassini. But it is interesting to note that Tulsidasji was able to give out the calculation in about two lines of Hanuman Chalisa. Hanuman Chalisa During Brain Surgery! Man Recites Religious Hymn While Being Operated for Tumour. Thus, it is said that Hanuman Chalisa accurately provides the distance between the Sun and the Earth. It is thus astonishing that almost 2 centuries before the modern scientists, Tulsidas predicted the distance.